In the conclusion of my most recent article (posted nearly four years ago!) I wrote the following: “I understand that many ‘traditionalists’ today soften the traditional view so much that penal suffering is minimized or denied altogether (which is another topic for another day)…” Today is the day that I pick up on that thread—better late than never, I suppose. I previously suggested that the dominant view of hell throughout church history envisions the damned endlessly suffering physical torture—typically by means of fire, among other torments. That hell will involve literal fire was a view held, for instance, by Tertullian, Chrysostom, Augustine, Anselm, and Aquinas, just to name a few. The poena sensus, or pain of sense, consists in the torment of fire so frequently mentioned in the Holy Bible. According to the greater number of theologians the term fire denotes a material fire, and so a real fire. We hold to this teaching as absolutely true and correct. However, we must not forget two things: from Catharinus (d. 1553) to our times there have never been wanting theologians who interpret the Scriptural term fire metaphorically, as denoting an incorporeal fire; and secondly, thus far the Church has not censured their opinion. Some few of the Fathers also thought of a metaphorical explanation. Nevertheless, Scripture and tradition speak again and again of the fire of hell, and there is no sufficient reason for taking the term as a mere metaphor. So, according to most modern theologians, we shouldn’t believe that the damned will literally roast in hell forever—heaven forbid! Instead, we ought to understand the biblical images of fire in a figurative or metaphorical sense. In other words, fire symbolically represents some other reality that the damned will experience after judgment. According to Keller, fire symbolizes “the disintegration of being separated from God.” For J.P. Moreland, the flames represent “utter heartbreak.” In Sense and Nonsense about Heaven and Hell (2007), Ken Boa and Rob Bowman argue that fire represents “spiritual torment” (whatever that means). 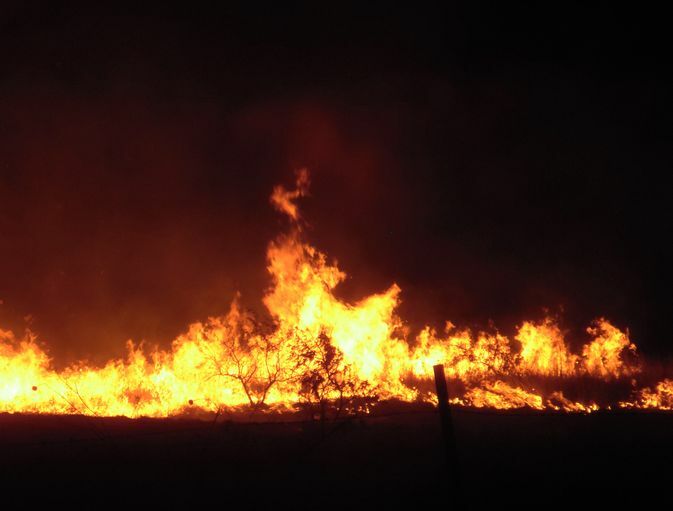 Many see fire as a general symbol for God’s wrath. Others refuse to speculate and conclude that fire simply represents something unpleasant that the damned encounter in hell. So why the change? What does Tim Keller see that Augustine and Aquinas missed? Perhaps modern Christians are in possession of sophisticated hermeneutic techniques unknown to to their predecessors. Maybe the radical shift in their understanding of hell is due to better translations or more reliable manuscripts of Scripture. Whatever the case, we should expect that modern traditionalists have excellent—and hopefully several—biblical reasons for deviating from the very tradition that they so confidently appeal to when arguing against conditionalism and universalism. In fact, when defending a metaphorical conception of hell, contemporary traditionalists typically rely heavily on a single argument: namely that fiery descriptions of hell found in Scripture cannot be taken literally because they contradict other descriptions: specifically those of darkness. Very often, this is the only argument put forward. Over the centuries theologians have discussed whether the biblical vocabulary for hell is to be taken literally or metaphorically. Great names fall on each side of that question. My own view is that in any aspect of biblical teaching where various descriptions contain elements in tension with each other, those descriptions are in all likelihood metaphorical. We are not under constraint to resolve how utter darkness can also have perpetually burning flames. These, I take it, are metaphors (226). Though hell is very real, it is probably not quite what you’re picturing . . . Consider that hell is often described as “fire” and “darkness” (Matt. 8:12; 22:13; 25:30). But think about it: have you heard of a completely dark fire? Normally we would never associate fire and darkness together, because fire is a major source of light. This, as well as a few other textual clues, seems to suggest that we shouldn’t take this imagery literally (137). The “fire and darkness cannot coexist” line is pervasive in contemporary traditionalist literature. It is an important part of William Crockett’s case in Four Views on Hell. Francis Chan and Preston Sprinkle appeal to it in Erasing Hell (2011). Boa and Bowman trot it out in Sense and Nonsense about Heaven and Hell. For a few accessible online examples, see here, here, here, here, and here. I will presently explain why I think this is an ill-conceived, shallow argument. First, I should point out that even generally careful thinkers can be found repeating the bromide. In The Case for Faith (2000), evangelical philosopher J.P. Moreland is quoted as saying, “I just want to be biblically accurate. We know that the reference to flames is figurative because if you try to take it literally, it makes no sense. For example, hell is described as a place of utter darkness and yet there are flames, too. How can that be? Flames would light things up” (176). It’s somewhat disappointing to see a philosopher offer this justification, because just a few moments of reflection—along with a little common sense—show that fire and darkness can coexist. 1. Unlike earthly fires, the fires of hell simply do not emit light. This is either because hellfire has unique properties or because God supernaturally prevents the light from emanating. 2. Thick smoke from the fire makes hell dark. Several judgment passages mention smoke, after all. 3. The darkness language is phenomenological, referring to the perspective of the damned, who are blind. If sight is a blessing, and hell involves the removal of all of God’s blessings, it’s not unreasonable to suppose that sight is absent (cf. Ecclesiastes 11:7 and Matthew 6:23). …yea we shall groan mightily, as the flame is applied more severely to us, but we shall see no one save those who are being punished with us, and great desolation. And how should any one describe the terrors arising to our souls from the darkness? For just as that fire has no consuming power so neither has it any power of giving light: for otherwise there would not be darkness. Yet it happens accidentally that seeing is painful, when we see things that are hurtful to us, or displeasing to our will. Consequently in hell the place must be so disposed for seeing as regards light and darkness, that nothing be seen clearly, and that only such things be dimly seen as are able to bring anguish to the heart. Wherefore, simply speaking, the place is dark. Yet by Divine disposition, there is a certain amount of light, as much as suffices for seeing those things which are capable of tormenting the soul. The natural situation of the place is enough for this, since in the centre of the earth, where hell is said to be, fire cannot be otherwise than thick and cloudy, and reeky as it were. 17th-century Particular Baptist minister, Benjamin Keach, writes the following in his Tropologia: “God sometimes hath brought Darkness upon a people, as a great judgement, for sin and rebellion against him: so God in just judgment will cast the wicked into Darkness, into a burning furnace of fire, but such fire as shall give no light, therefore called Utter Darkness.” And again, “To increase the horror and amazement of the damned, this fire shall only torment them, not give them any light, but they shall be cast out into Utter Darkness” (970-971). In this horrible darkness the damned lie helpless as blind men, or as those who have had their eyes cruelly put out. They see nothing, for the acrid smoke stings their eyes, and the poisonous fumes of sulphur destroy their sight. We know how dense this smoke is from the account given by St. John: “To him (Satan) was given the key of the bottomless pit (Hell). And he opened the bottomless pit; and the smoke of the pit arose as the smoke of a great furnace; and the sun and the air were darkened with the smoke of the pit” (Apoc. ix. 2). Apparently, important Christians of the past had no problem at all reconciling literal fire with literal darkness. I should clarify that I’m not arguing for or against any particular view of hell here. I happen to believe that final punishment will most likely involve literal fire, and that the darkness of Jude 13, for instance, represents death and oblivion (cf. Job 3:1–6). If someone has good reasons for interpreting all the relevant fire descriptions metaphorically, fine; I don’t have an issue with that (aside from interpretive disagreements, obviously). And I certainly don’t insist that any of the four points above are beyond dispute. If, for example, someone wants to argue that the darkness language is not merely phenomenological, or that the “black darkness” of Jude 13 necessarily refers to 100% absolute darkness, I’m open to hear those arguments. When someone proposes to change a doctrine taught consistently since the inception of the church, it should make us wonder how everyone throughout the centuries could have been so terribly wrong. Not that an error could not have been made or that traditions are infallible. They are not, of course. In fact, the position I hold, suggesting a metaphorical understanding of hell rather than a place of literal heat and smoke, should raise similar caution. Actually, it has been advocated only since the sixteenth century. The true test is how well the view conforms with the biblical data. But why have so many 20th-century traditionalists flippantly repudiated the mainstream of historical orthodoxy regarding hellfire? Why have they so eagerly latched on to this bad argument about fire and darkness en masse? If I can indulge in some armchair psychology, my hunch is that the “fire and darkness cannot coexist” line is used by moderns who are (rightly) embarrassed by the outrageous, sickening view of hell as literal, endless torture, but need a biblical-sounding argument to justify their departure from the historical view. This is ironic because, as I’ve pointed out elsewhere, most published critiques of conditionalism include—and often feature—a denunciation of the sentiments that supposedly underlie the popularity of the view. As Edward Fudge points out in his chapter, “A Kinder, Gentler Traditionalism” of The Fire That Consumes, “The irony is that many of today’s traditionalists accuse conditionalists of having ‘gone soft'” (360). Crockett, for instance, just a few sentences prior to the quote above, writes “Because the idea of a never-ending punishment is so harsh . . . a number of evangelicals have called for a reconsideration of the doctrine. In its place they have proposed that we embrace conditional immortality.” Likewise, J.I. Packer contends that, “the feelings that make people want conditionalism to be true seem to me to reflect, not superior spiritual sensitivity, but secular sentimentalism…” We could just as well replace “conditionalism” and “conditional immortality” above with “the metaphorical view”; it would probably be more accurate. Physician, heal thyself. If we take the New Testament’s descriptions of hell as symbolic language, we have to remember the function of symbols. The function of figurative language or metaphorical language in Scripture is to demonstrate a likeness to a reality . . . The question is whether the reality to which the symbol points is less intense or more intense than the symbol. The assumption is that there’s always more to the reality than what is indicated by the symbol, which makes me think that, instead of taking comfort that these images of the New Testament may indeed be symbolic, we should be worrying that the reality toward which these symbols point is more ghastly than the symbols. I once heard a theologian say that a sinner in hell would do anything he could and give everything he had to be in a lake of fire rather than to be where he actually is. Crockett (and Packer) is looking to his theological right and wants to be seen as orthodox, while making a major shift to a nonliteral view of hell. It is essential in this shift not to appear to the fundamentalists to be making hell easy or nice, because they will jump all over him if that were true. So he must not appear to have lowered the pain quotient in a nonliteral hell (even though I think he has). 1. It’s an example of how traditionalist thinking is often platitudinous and superficial. This is yet another meme or talking point that contemporary traditionalists (including philosophers) tend to parrot without putting much thought into it. 2. It shows how disconnected many traditionalists are from the tradition they see themselves as heirs of. My guess is that many who make the “fire and darkness” argument are simply not aware that the literal fire view is historically dominant—they are most certainly not aware of how theologians of the past reconciled the biblical descriptions of fire and darkness. 3. Many traditionalists are apparently subject to the same “secular sentimentality” that they pin on conditionalists and universalists. This entry was posted in bad arguments, history, sloppy scholarship. Bookmark the permalink.